Emma Slater is a professional English dancer who has been in the entertainment scene for nearly three decades. Unlike some celebrities who became famous by chance, Slater was certain of her career path even as a toddler. Through hard work and dedication, she has carved a niche for herself in the industry and continues to work her way to the very top. Besides her professional accomplishments, Slater is also known as the other half of a celebrity couple. Discover interesting facts you never knew about the beautiful dancer. Emma Slater is a native of Staffordshire who was born on December 25, 1988. The English dancer began exhibiting interests for the performing art at a very young age. An unconventional kid, she first learned ballet at Novelli Stage School from age four. By age 10, Emma was already competing at professional levels. She made her first screen appearance at age 15 in the music video Round Here by George Michael. It was that same year that she appeared in Pinewood Studios’ fitness video Latinasize. 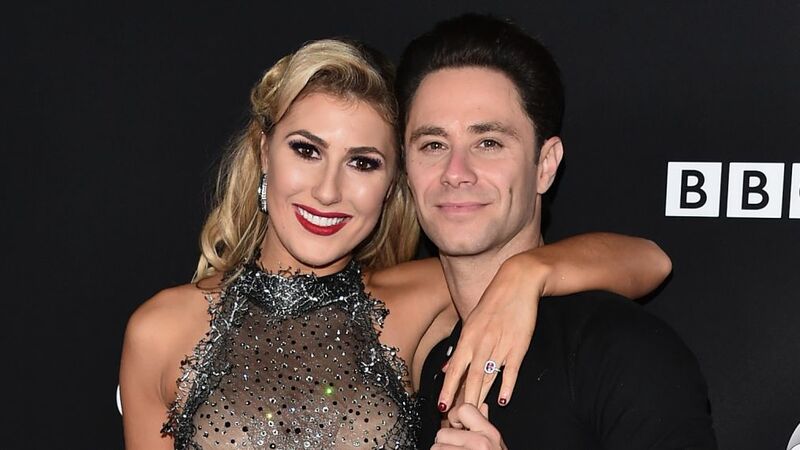 Emma Slater kicked off her dancing career as a teenager. Her first professional competition was at age 16 in the stage show Simply Ballroom which toured around various countries including South Africa and UAE. Next, she participated in the 2005 British Under-21 Latin American Championship at Blackpool and won it. Refusing to rest on her laurels, Slater also won the UK Under-21 Latin American Championship at Bournemouth the following year. Slater’s outstanding feats at various levels could not go unnoticed as she soon made it to the list of the ‘top 20 for under 21 Latin dancing in the world’. Slater has participated in other notable dancing competitions such as Dirty Dancing at the Aldwych Theater in West End, London, Latin Fever at the Peacock Theater, Cheek to Cheek at The Coliseum, Burn the Floor at the Longacre Theater, and of course, Dancing with the Stars where she rose to prominence. She joined the American version of DWTS cast as a troupe member in 2012 and in the show’s 14th season. With her talents and hard work, Slater grew to a professional dancer by the 17th season of DWTS, thus qualifying her to be paired with celebrity partners. Some of her partners over the years include Bill Engvall, Billy Dee Williams, Redfoo, Hayes Grier, Rick Perry, Drew Scott, Johnny Damon, and John Schneider. But her biggest season yet on the show is perhaps 2017 when she and celebrity partner Rashad Jennings won the 24th season title. Though she is best known as a professional dancer, Slater has also included actor and singer to her already impressive resume. In 2007, she landed a role in the movie Mamma Mia. She also takes credit for the movie’s soundtrack which won a Grammy. The British dancer and choreographer is happily married to Australian professional dancer Sasha Farber. Emma and Sasha who began dating in 2011 were in an on-off relationship before making things official. After dating for about three years, the pair reportedly went their separate ways in 2014. But about a year later, they ignited their flame and were back together. In October 2016, Sasha popped the big question during an episode of Dancing with the Stars (DWTS) and on the 25th of March 2018, the couple exchanged marital vows. Slater and Farber have apparently found love in each other’s arm and continue to wax strong together. Prior to her romance with Sasha, there are no records of Emma’s past relationships. Not much is known about Emma Slater’s parents except that her father’s name is Robin Slater. While it is uncertain if Emma has other siblings, we do know that she has a twin sister Kelly who also works on Dancing with the Stars as a costumier and a stylist. The blonde haired dancer stands at an average height of 5 feet 5 inches and weighs about 54 kg. Her body measurements are bust – 34 inches, waist – 26 inches and hips – 34 inches. Emma Slater has successfully carved a niche for herself in the entertainment industry. She is believed to have earned a decent amount from her career as a professional dancer and choreographer. Slater’s net worth is currently estimated at $300 thousand. Slater does not just entertain her audience on stage and in the traditional media but also on social media. The dancer is active on popular sites like Facebook, Twitter, and Instagram where she has amassed a huge fan base.